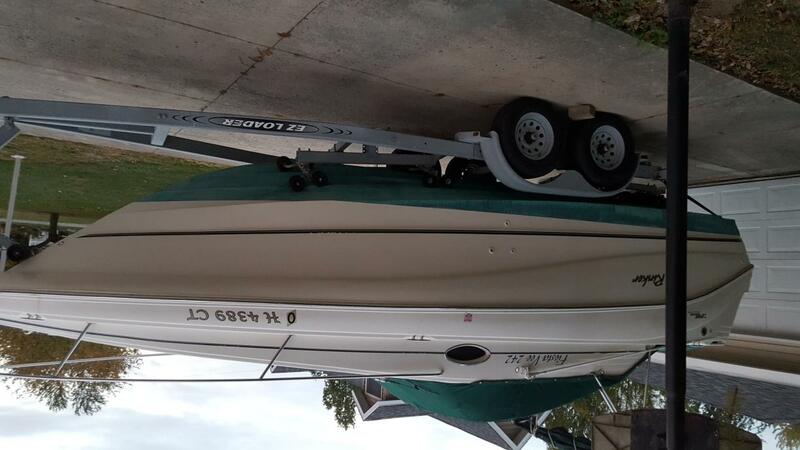 2000 Rinker Fiesta Vee 250 boat is in great shape 113hrs. stored indoors since new everything works as should runs exc. 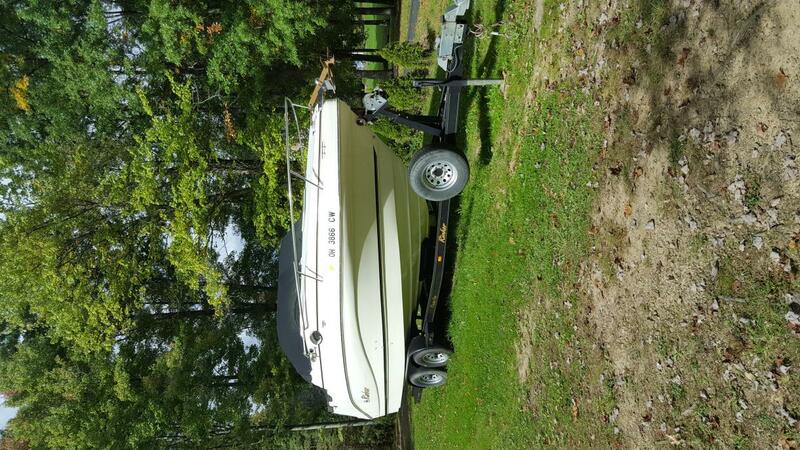 motor barely broke in heavy duty loadmaster trailer retailes with trailer around 30k this is a great price on this boat. selling because i have no time for use. TEXT OR CALL MY CELL # 419-303-3964 i will not respond to ad emails. also bravo 3 outdrive. 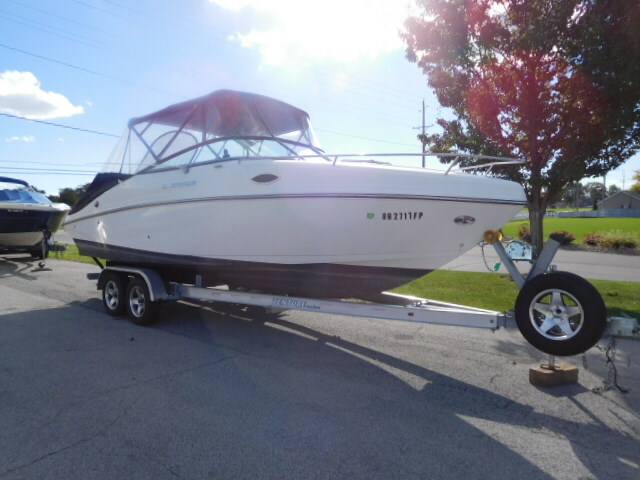 2006 Rinker 360 Express Cruiser Available for appointments all winter this boat is in heated storage. 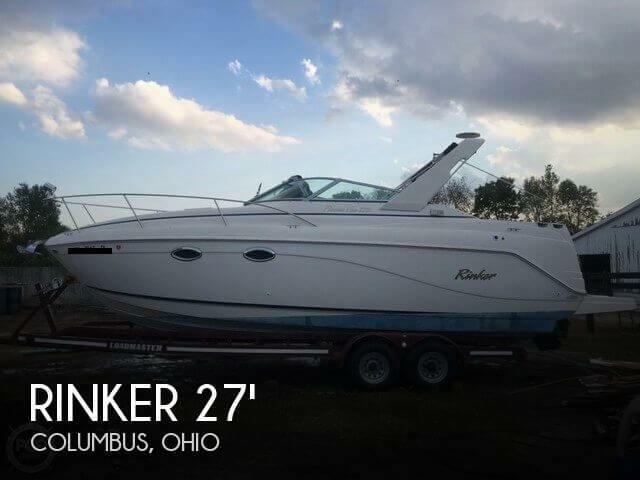 The Rinker 360 Express cruiser is one of the best ones on the market. Equipped with 496 Mag 375 HP motors with bravo 3 out drives with 116 hours. 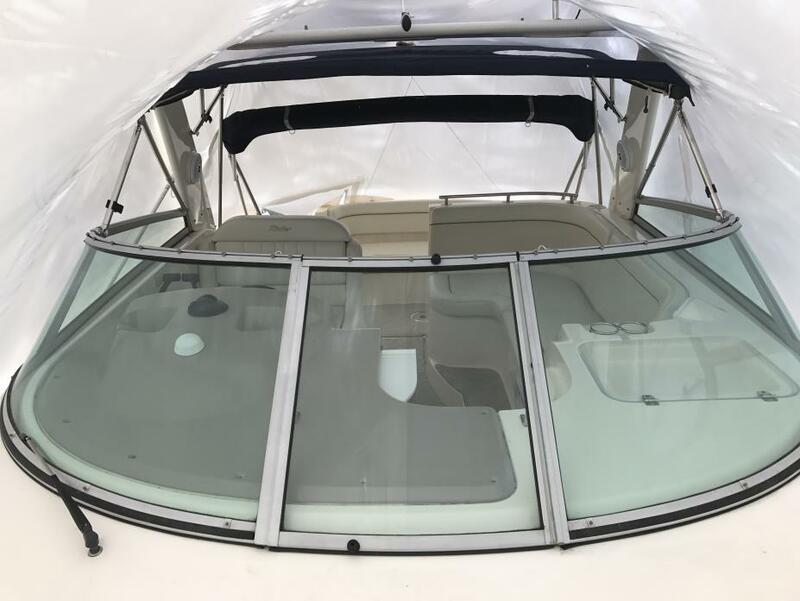 The 360 has a split walk through windshield for safe and easy access to the forward deck area. The salon galley area also boasts a spacious seating area with a large wood table. The galley has solid surface counter tops and loads of cabinets for great storage. It has all the amenities needed to prepare food: Refrigerator, microwave oven/coffee maker combo, 2 burner stove and built-in stainless steel sink. This 360 is also unique as the head has a separate large shower stall. Another great feature of this 360 are the sleeping arrangements. It has a roomy forward stateroom, mid salon with table and while the dinette conforms to a double sleeping area with extra large settee and an aft stateroom for sleeping 2 more adults or additional table seating. Head with privacy door, vanity, wood cabinetry, mirror and large separate shower stall. 2006 Rinker Fiesta Vee Low hours with generator, new sound system installed in 2016. Twin Mericruiser 5.0 engines. Rarely used, great condition. Each engine has less than 150 hours of use. Two fridges, one in cabin and one by cockpit. Blender, sink in cockpit. Bathroom includes new toilet system installed 2016. TV, microwave, gps all included. 2012 Rinker 246 CC, Rinkers new Captiva 246 CC combines a traditional cuddy with stylish lines. A standard Bimini top surrounds the main cockpit with full enclosure. a modest cabin highlights a full berth with enough space for multiple children to nap or simply get out of the sun. Storage compartments and a portable head complement the cabin, making the Captiva 246 CC a candidate for possible occasional overnights for two. Trades considered. 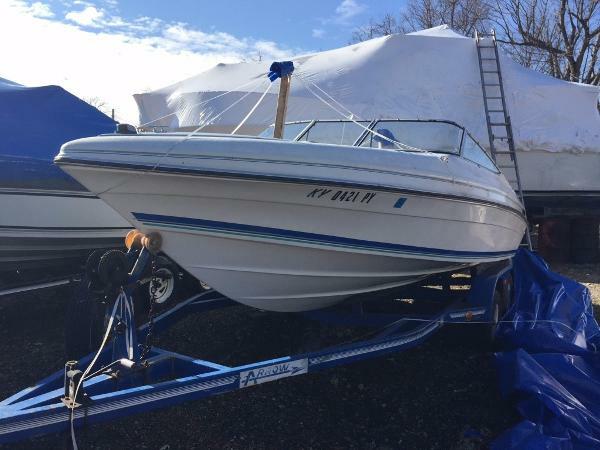 1994 Rinker 209 Nice looking 21 foot cuddy powered by a Mercruiser 4.3L V6. Spacious cockpit area due to the wide 8 ft 2 in beam. Plenty of seating and a cuddy cabin to be used to get out of the sun. Comes with a quality built tandem axle trailer. Come see and make an offer. 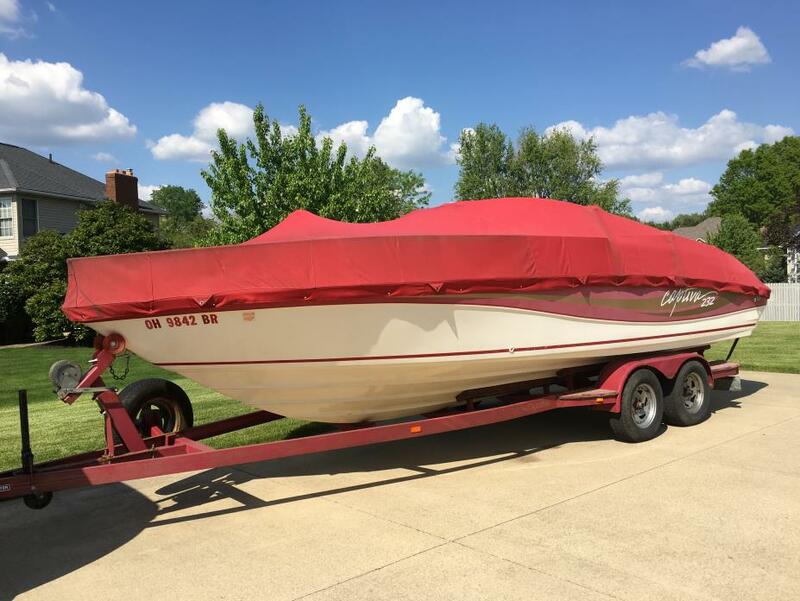 Nice inexpensive way to get out on the water this summer. 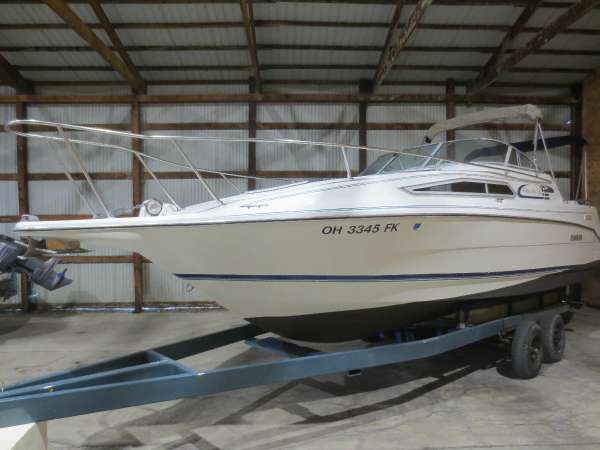 1999 Rinker 270 Fiesta Vee Priced to Sell--- Very Clean---- Priced to Sell We just took this beauty on trade! 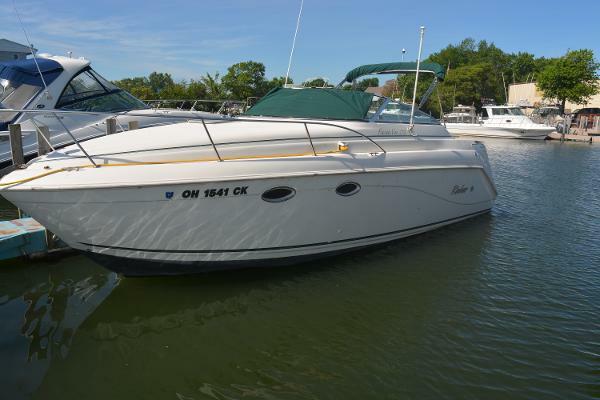 She is a 1999 Rinker Fiesta Vee with a new re-manufactured 5.7 Mercruiser. She has a Furuno GPS, Standard VHF, Battery charger, Norcold refrigerator, one burner stove. This boat is equipped with everything you need to get out on the water. Give us a call today to schedule a showing! 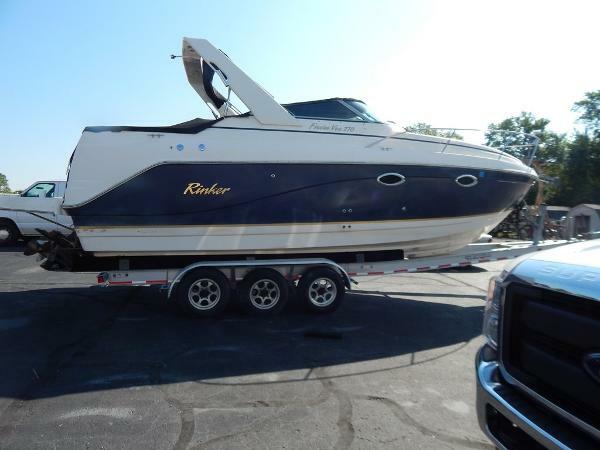 2005 Rinker 300 Fiesta Vee NEW LISTING! 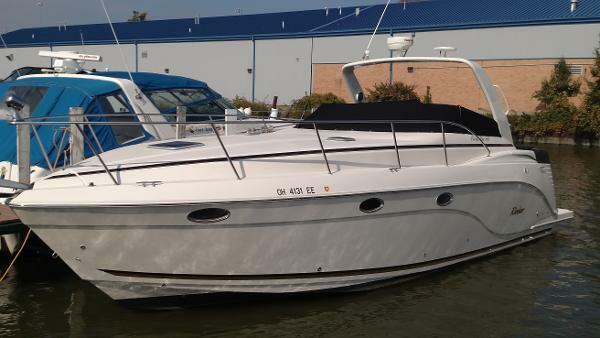 Here we have a 2005 30' Rinker 300 Fiesta Vee powered the T-260 HP 5.0 Mercruiser (450 Hours) and Bravo 2 drives. This one is loaded with a 6.5 KW generator, AC/heat, windlass anchor, camper canvas, Garmin 541 GPS and more. 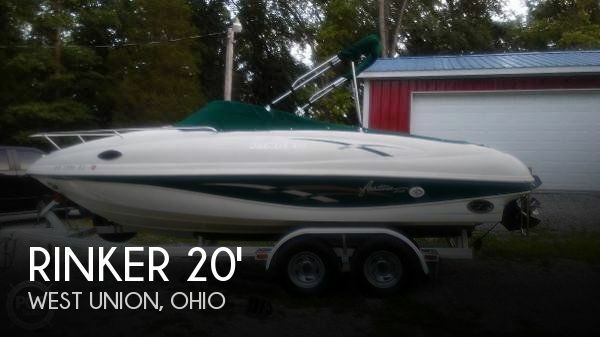 Call BOATERS POINT today for more information. 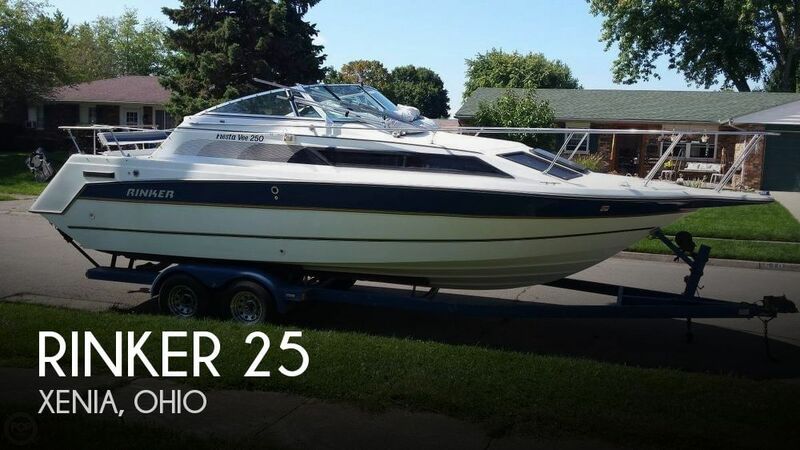 2004 Rinker 270 Fiesta Vee Here is a good size cruiser at a great price! This 27 foot boat is powered by a 300 hp Mercruiser engine with a Bravo III (dual prop) drive. It has a bimini top with camper canvas, cockpit cover, and snap-in carpet. The full galley includes a refrigerator, microwave oven, and stove. The cabin has marine air conditioning, pump out head, and a CD stereo. 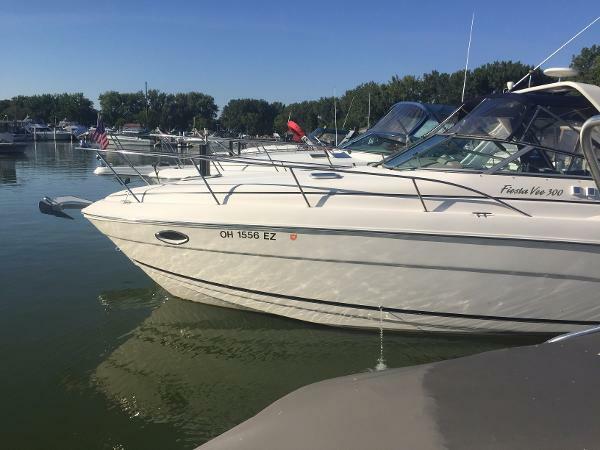 It also has other features such as a depth finder, VHF radio, transom shower, windlass, windshield wiper, spotlight, battery charger, dual batteries with switch, trim tabs, tilt steering wheel, and pressurized water with hot water heater. It is good shape and the wide beam provides lots of extra room! Price does not include trailer. Call or e-mail us for details! WE WILL CONSIDER ANYTHING IN TRADE!